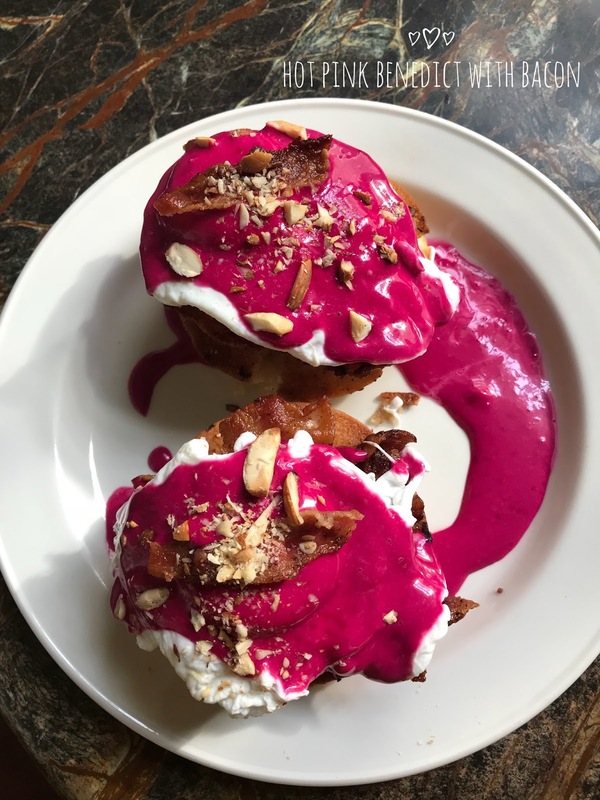 After almost one and a half year since our first foodathon at PY, things fell in its place and before we realised we were ready for the second. Shab & Dipak travelled from Chennai and we kickstarted our foodathon at Coromandel cafe. This place was our first choice as it was heavily recommended by a lot of people. A look at their menu in Zomato, I was convince that it would be the best place for breakfast. Located at Romain Rolland street (the street behind the beach road), this place was stunningly beautiful. A big spacious French bungalow with cozy interiors and gorgeous decor was so comforting for a breakfast. But we were there for the Food. That was our first and main focus. Menu was handed and we made our choices quickly but had to wait for a long time for the food to arrive. 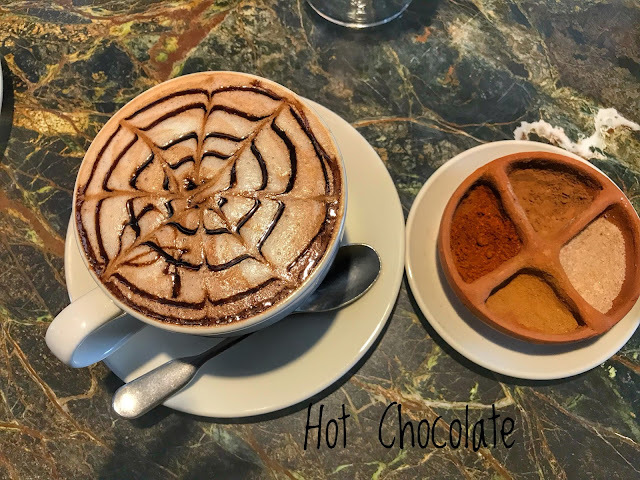 Mason & Co Hot Chocolate (Rs.150) - I’m a big fan of Mason & Co chocolates and I ordered this without second thoughts. A cup of hot chocolate served with cinnamon powder, sea salt and chilli powder separately. This was the first one to arrive on the table and was such a disappointment. I expected fairly thick hot chocolate with the tasted of mason & co bean to bars taste. The reality was a watery (kazhani thanni) hot which had a faint chocolate flavour. A generous pinch of sea salt helped in taking few more gulps. Freshen Up (Rs.159) - Our choice from the anti-oxidant juice section. 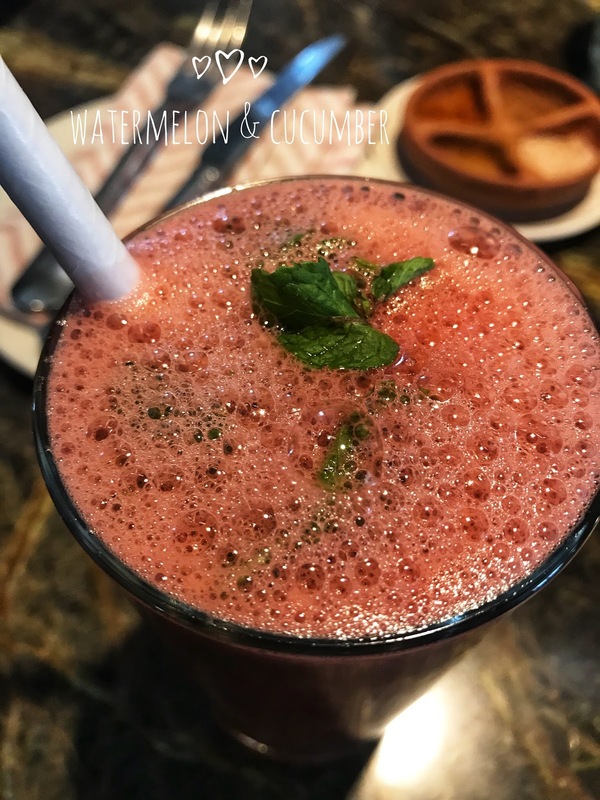 A mix of freshly squeezed watermelon, cucumber and mint. Nothing extraordinary. Golden Mushrooms (Rs. 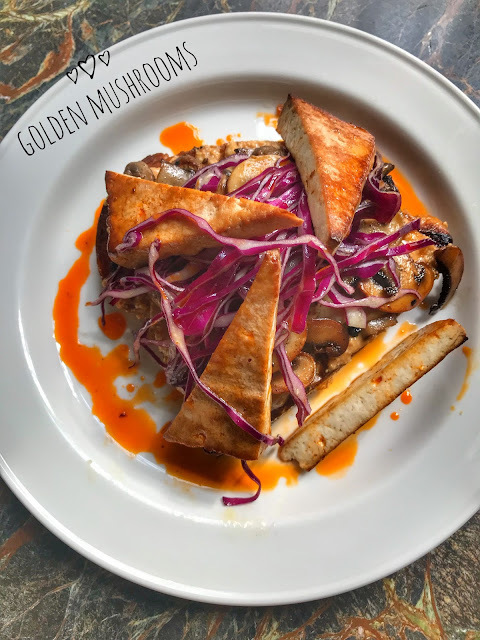 330) - Grilled mushrooms on a toast smothered with peanut butter and chilli oil and smoked tofu. Being a vegan dish, this was excellent with perfectly cooked mushrooms. 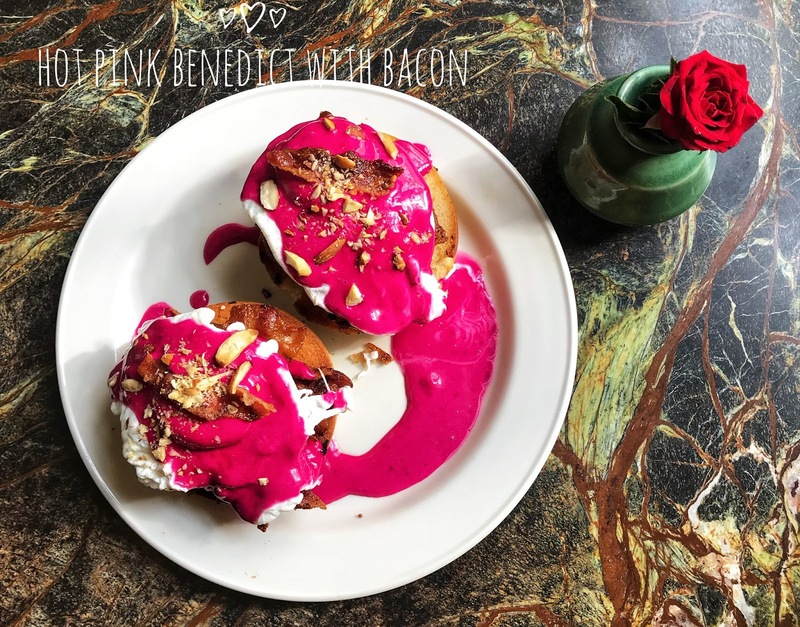 The toast was super crisp and along with the peanut butter it was heavenly. For me the addition of smoked tofu to this dish was unnecessary. 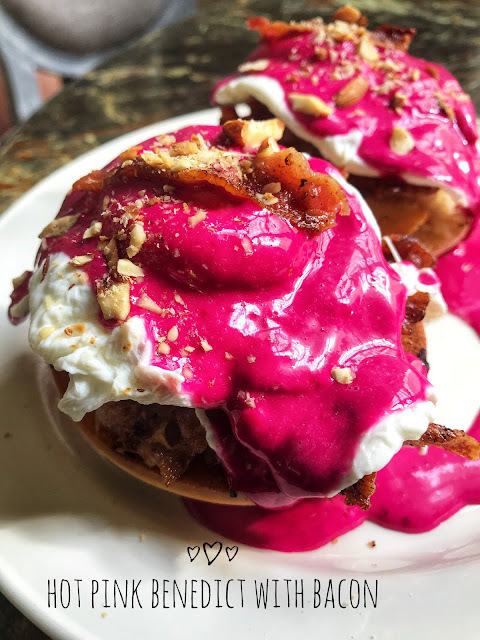 Hot Pink Benedict with Bacon (Rs.290) - Two poached eggs on toasted English muffins with bacon and pink Hollandaise sauce. The eggs were poached perfectly and the bacon was super crispy and yumm. Other than that this was a pure eye candy. I felt the sauce to be a bit on the saltier side. 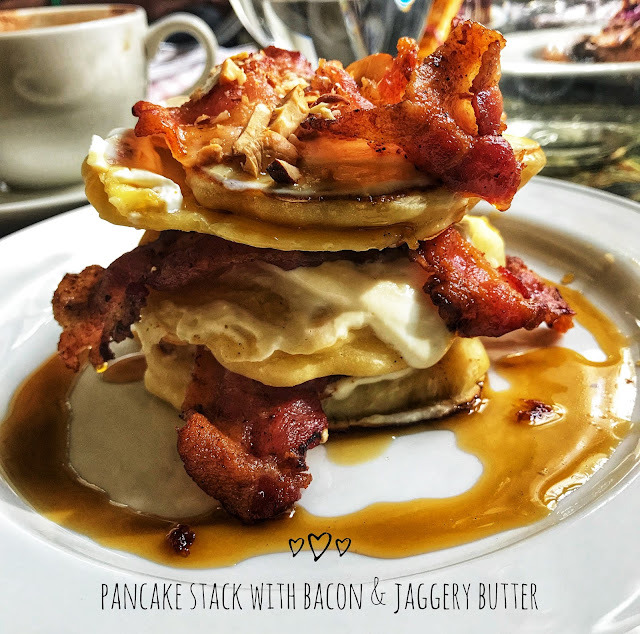 Ultimate pancake stack with bacon & jaggery butter (Rs.330) - This would’ve been a beautiful dish if only they got their pancakes right. 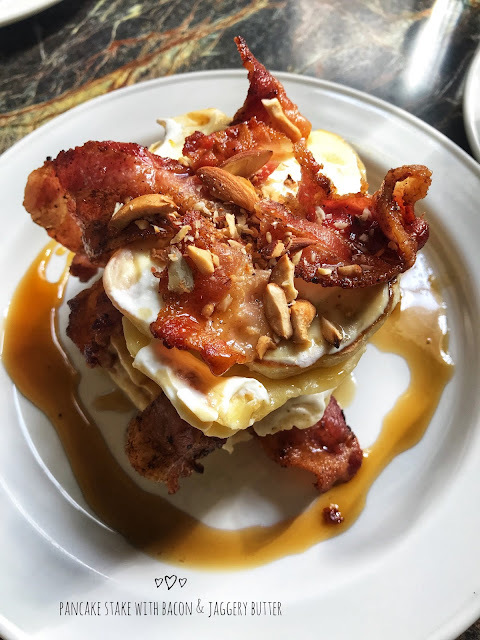 A stack of (3 in precise) pancakes with whipped mascarpone cheese in between topped with crispy bacon and jaggery butter. 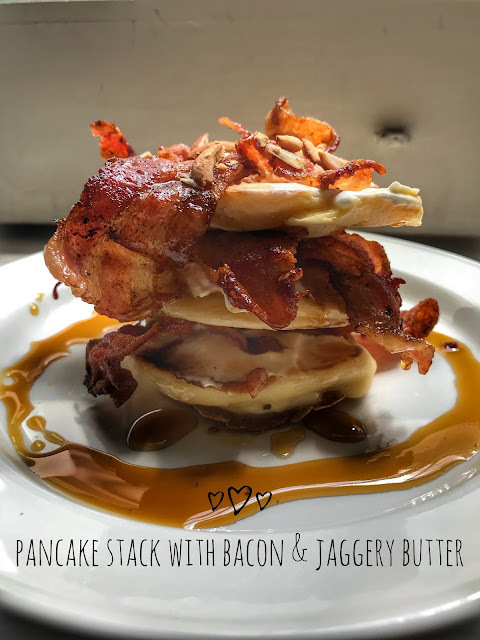 The gooey, thick and flat pancakes spoiled everything. 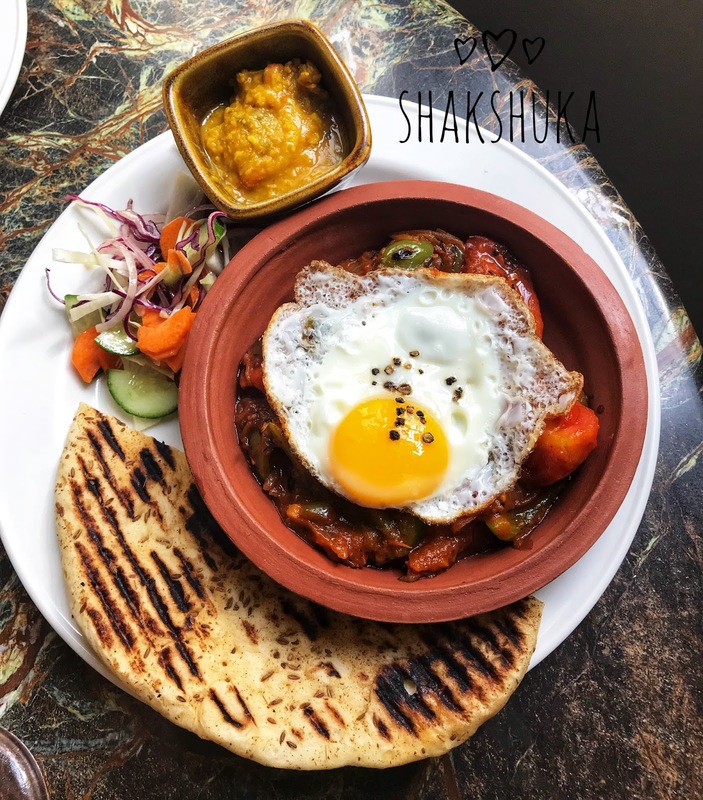 Terracotta baked Shakahuka (Rs.220) - All those shakshukas I’ve had & cooked so far has the runny eggs cooked over the veggie mix. 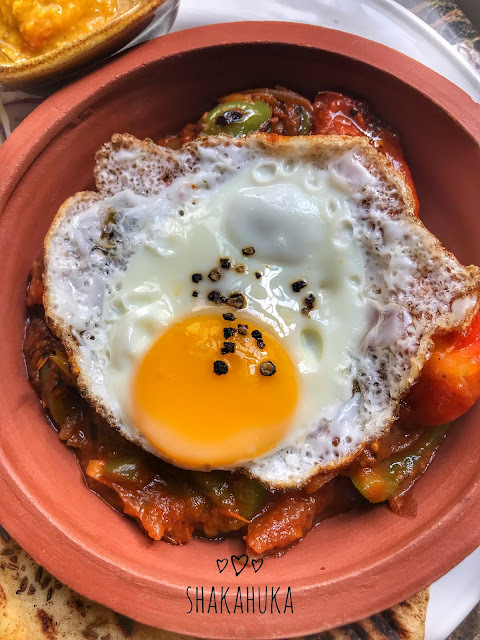 So when we received the shakshuka with a fried egg on top, I simply couldn’t bring myself to accept that it was shakshuka. The veggie mixture was overloaded with curry masala and neither the flat bread nor the dal hummus (tasted more like the dal fry) helped in taking more than a bite of it. Such a beautiful place with sad food. The worst part next to the food was the service. Yes. The staff were courteous but finding one around was a task by itself. We literally had to get out of our chairs, go around the property with a hope of spotting one (We even pulled a Dhanush in Pudhupettai. “Yaravadhu irukkengala”). Paid 1700 odd bucks. There wasn’t even a slight satisfaction of having good food. After all I’m not a person who gets satisfied just with the ambience.